Mondays give Happiness and Fridays make no Changes! Normally Mondays are supposed to give the blues and Fridays are supposed to trigger off cheer. This phenomenon is usual unless otherwise you are an Entrepreneur. For an Entrepreneur there is not much of a difference between Mondays and Fridays when compared to an ordinary Corporate Man. People starting their own businesses (it may be a formally registered business or something that is started on their own at their home etc.) is increasing at a rapid pace but at the same time the number of close downs or discontinuations are also increasing. People leave their jobs and start something on their own, wait for some time, if nothing goes as planned or expected they simply quit and start working again. While working there are many individuals and groups of friends and families who run their own businesses, this includes many top leaders in the corporate world as well. 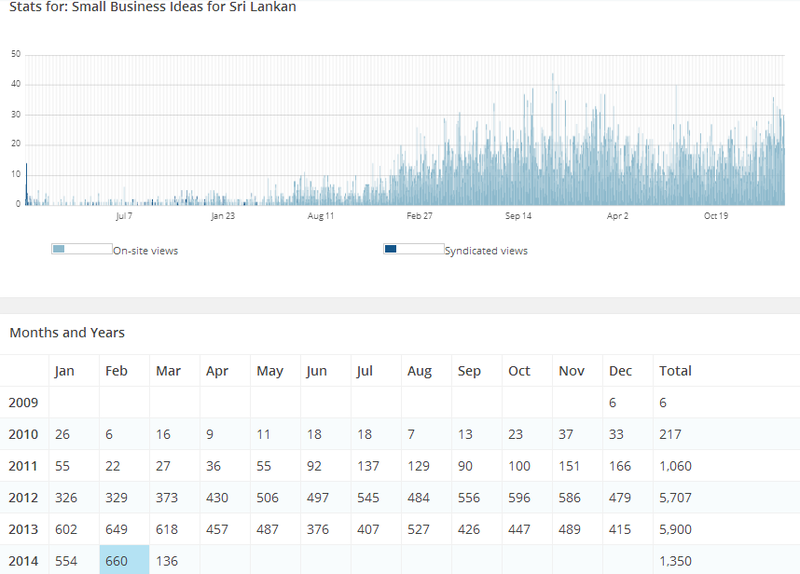 Remarkably over 500 requests have been sent to the Google doc linked to the post requesting for new business ideas in Sri Lanka, investment ideas in Sri Lanka and guidance for start-ups. I also receive calls asking for guidance and help, sometimes up to 2 to 3 calls a day. Surprisingly Sri Lanka is Enterprising! It is prevalent that Sri Lankans who are living here as well as expats who want to invest in Sri Lanka need more guidance, support, advice and help in order to start something on their own in Sri Lanka. It’s a really loud call for all big / highly successful Entrepreneurs out there. So here are some tips and thoughts that I can share with you which I have learnt and experienced. This post is not only for someone who is planning to start something of their own but also for people who are planning to start a business but are in two minds whether to do so or not. Let me start it off with my story. The reason for me to share my story is unlike any other phenomenon, Entrepreneurship has never been built based on any theories and principles. It’s all about experience and that is why sometimes it’s considered as a black magic and avoided by people though they would like to pursue it. 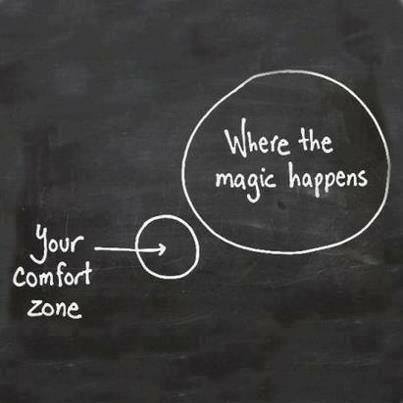 Only if you have the right passion can you explore it and discover the magnificent wonders hidden inside. You can read my blog which I wrote after completing my first year as an Entrepreneur. “Life as an Entrepreneur” Many of my readers appreciated this post. My business, Epitom Consulting is in its 3rd year of journey along with its co-brands Epitom Trinergy and Epitom Training. I have seen lots of up and downs and what makes me happy now is when people recognize my company. Epitom Consulting handles all marketing consulting, marketing planning and market research services whilst Epitom Training handles workshops, internal training programs, courses etc. catering to over 300 clients in a short span of time. My other infant that is just 6 months old is Epitom Trinergy has started operating in four different countries as a registered legal entity in Sri Lanka, Mexico, Nederland and USA. I admit that the journey of Entrepreneurship is hard, hectic and sometimes isolates you from the rest of the world. At some point you feel you have lost many things compared to your colleagues and friends. But the positive side of Entrepreneurship is the feeling of having the complete freedom of doing what you like and think as right. 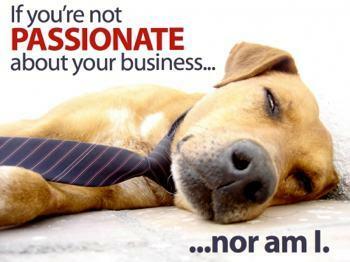 Simply the passion that you have towards your venture keeps you moving forward. That is why I have titled this post as “Mondays give Happiness and Fridays make no Changes!” when you start working with passion you do not panic about Mondays and are glad about Fridays. There are big difference between working under someone while helping them to achieve their dreams and being your own boss. I am not implying that there is anything wrong with corporate life compared to becoming an Entrepreneur. All I am saying is the perspectives of looking at life is totally different in these two viewpoints. If you are passionate you will not quit the journey no matter how hard it is. If you are comfortable in a place or at a particular state-of-mind there is less chances of enterprising and risk taking. You should be prepared to forego the comfort and safety. I am out of the safe zone now. I do not have a job or a fixed monthly income. Epitom is my life. So I work day and night for the growth of my own brand. When you see you have a team working for you to achieve your dreams, when you see you are fighting for your own survival, when you realize you have to answer people who laughed at you at the beginning, when you see you have a better half supporting you at maximum, when you see your parents waiting for your business to grow and when you see each day your efforts boost your brand, you will not expect a comfortable life with weekends and holidays. There is not much of a difference between Mondays and Fridays for you. I have not taken big risks while I was working, but my risk taking expedition started when I started my own business. As an Entrepreneur you have to seek for big returns that gradually end up in taking big risks. Entrepreneur life is not about sitting and watching whales leap. It’s all about becoming a Whale yourself. 3-How you are going to Measure your Success? This image is enough to show how success should be measured. 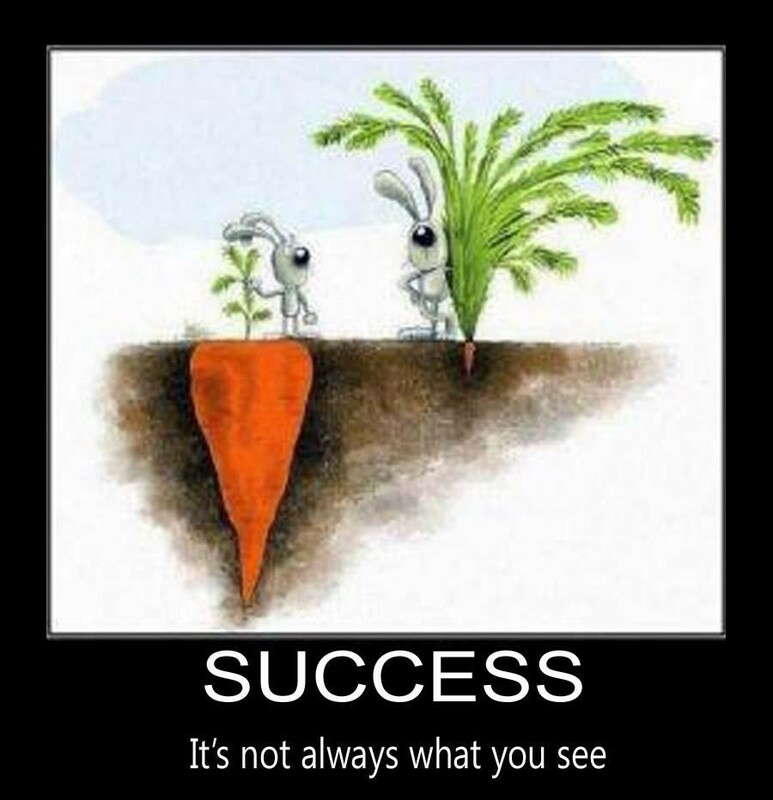 Success is not what you see. It’s what you will get down the line. Success in the entrepreneur life is not immediate. You will have to wait while watching others pass you. Do not measure your success in terms of monetary value. I know money is important but not everything is related to money. I have seen many of my friends complaining about their work even though they are paid well and given all sorts of fringe benefits. They are frustrated and badly want to get out of their jobs. But once you become an Entrepreneur you will never hate your life because that path though it’s difficult was chosen by you. You will start loving it. When you see your infant (I mean your brand J ) is growing day by day, you will have real self-satisfaction which cannot be compared to anything else. Even when working I got a very good salary. Failures were not part of my life when I was schooling, graduating or following my professional studies. But when I started to be on my own, I started to taste the sweetness of failure (I say it’s sweetness as I chose it whole heartedly). Entrepreneur life is not easy as you think. 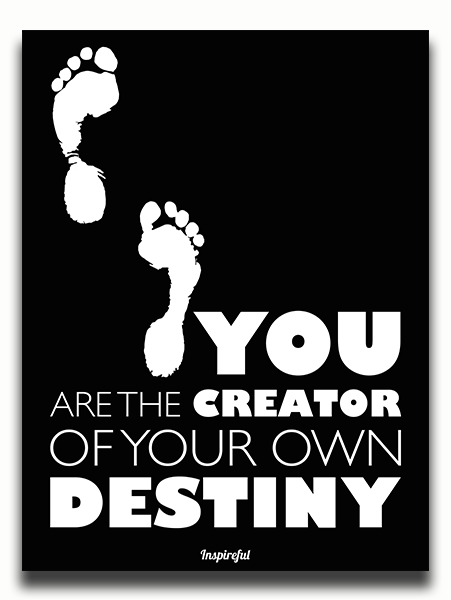 The failures will craft you like a statue. When you move forward you will become competent in handling failures, disappointment and challenges easily. Whatever it is ultimately if you are self-satisfied with what you are doing, that state-of-mind will drive your business towards success. New ways of thinking is a must if you want to become an Entrepreneur. You should be always determined to think out of the box and implement new ideas to take your business forward. 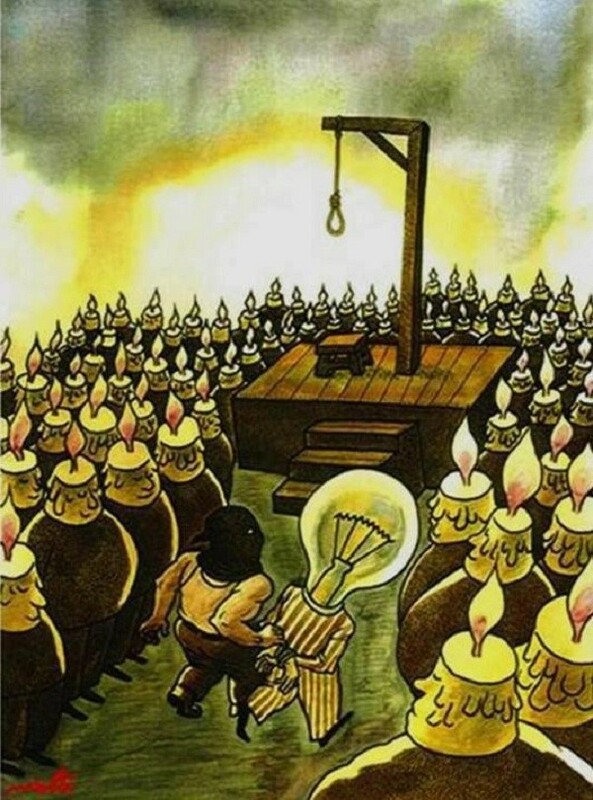 Dare to think differently even if it’s criticized or convicted. If you are working under someone, unless you are the decision maker it’s always difficult to implement what you think as correct. Your immediate boss might say NO, or the top level decision makers might criticize your ideas. At the end of the day you will become a confused person and wonder whether you are really capable of doing things? What if my ideas are dump? But when you become your own boss, this is what your role is. Strategize and implement whatever your gut feeling says as correct. Even if you fail you finally end up with a study point. During your tenure as a start-up Entrepreneur sometimes (not always but generally) you will travel along the path of uncertainty. Sometimes you will not even have single cent to take a bus to go home. Or you may have some other commitments like paying a supplier, paying your bills etc. which may force you to spend nothing on yourself. You may face situation where you will have to walk to your home till you gradually wear out the soles of your shoes. Despite the hard times, one day your passion and determination will start paying-off in the way that you may have not expected. These difficulties will model you little by little and make you cable enough to think strategically and innovatively.